Weeks after the Tropical Cyclone Idai ravaged the small nation of Mozambique in southern Africa, recovery continues. The storm also slammed into neighboring Malawi and Zimbabwe leaving a corridor of death and massive destruction experts say will take some time to rebuild. “These people’s lives have been devastated,” said David Beasley, executive director of the United Nations World Food Program. After a two day visit to Mozambique where the UN World Food Program have been airdropping food supplies to inaccessible areas, he anticipated they will need help over the next six to 12 months at least to get residents back on their feet. “They have no livelihoods now, they’ve lost their homes …their farms … their crops, they’ve lost loved ones,” Mr. Beasley lamented. 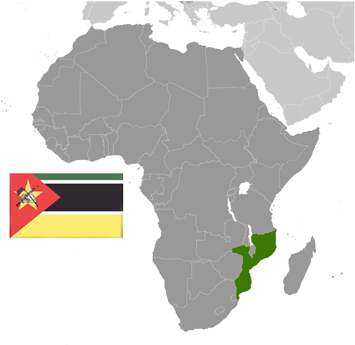 Mozambique is a predominately agriculture economy and a nation of 25 million people. A March 27 WFP report estimates nearly one million acres of crops—primarily maize—were washed away by the mid-March cyclone, just weeks ahead of the main April–May harvest. Primary sources of income, like livestock and fisheries, have also been badly affected. Subsistence farmers will need assistance through the next main harvest in mid-2020. “Life goes on, sort of,” said Gert Verdonck, emergency coordinator for Doctors Without Borders. The UN projected $1 billion-worth of infrastructure was wrecked by the cyclone and residents would need strong, sustained support. “Such events are becoming more frequent, more severe and more widespread, and this will only get worse if we do not act now,” said UN Secretary General António Guterres, briefing correspondents at UN headquarters in New York on March 26. Mr. Guterres announced a global conference on climate change will be held in September. He attributes the devastation of the weather event to climate change. “In the face of turbo-charged storms, we need revved up climate action,” he added. Cyclones are intense wind storms whipping up large ocean waves and raises water levels by creating a storm surge. Cyclones aren’t foreign to the east-African coast, but experts say the storm track for Idai was fairly rare. Hurricanes, cyclones and typhoons are all the same weather phenomenon; just different names for these storms are used in different places. Globally 80 to 100 tropical storms occur where 40 to 50 are hurricanes and 10 to 15 are considered major hurricanes. According to meteorologists Idai is one of the worst tropical cyclones on record in Africa and the entire Southern Hemisphere. An estimated 700 to 800 people perished and emergency responders believe the toll may rise to thousands after high flood water ebbs. “We’re going to have to wait until the flood waters recede until we know the full expanse of the toll on the people of Mozambique,” said Sebastian Rhodes Stampa, Deputy Coordinator of OCHA—UN Office for the Co-ordination of Humanitarian Affairs. The UN said nearly three million people were affected with no electricity or running water in areas where homes were completely demolished, and roads destroyed by floods. Nearly two-thirds of the affected were in Mozambique, where its key port city Beira—home to 500,000 people—was “practically razed to the ground” and interior farmland has been overwhelmed, said Mr. Guterres. Mozambique is poor and suffered 70 percent unemployment before Idai converged on the already distressed situation. According to reports some people expressed public anger and accused the government of failing to adequately prepare for such disasters. Experts say Mozambique is located directly in the path vulnerable to climate change with its extensive 1,500-mile coastline along the Indian Ocean. Coastal cities like Beira are most susceptible, although it has received World Bank funding to shore up its infrastructure against flooding. However, Cyclone Idai moved fast with havoc making winds of 150 miles per hour, shredding apart structures designed to withstand less than half that intensity. “This cyclone destroyed everything we built for more than 100 years,” said Beira Mayor Daviz Simango to Associated Press. Dr. Djamila Cabral, World Health Organization representative in Mozambique, said in Beira more than 100,000 people have lost their homes and all of their possessions. In addition, “families, pregnant women (and) babies are living in temporary camps in horrific conditions … without secure food supplies, or safe drinking water and sanitation,” Dr. Cabral explained. Sanitation and water related diseases like malaria, cholera and typhoid is a major concern. Countering an anticipated rise in malaria in the after effect WHO is also preparing to provide 900,000 insecticide-treated bed nets to protect families. In addition, required rapid diagnostic tests, anti-malarial medicine and other health needs for high-risk areas will require at least $38 million over the next several months, Dr. Cabral added. It’s a humanitarian crisis on par with other current world emergencies such as war-ravaged Yemen, says some observers. 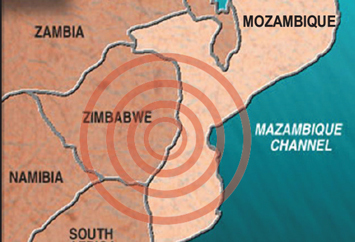 Zimbabwe and Malawi need emergency assistance too. “This support will require $140 million for the life-saving interventions in Mozambique for the next three months; $15.4 million for the next two months in Malawi and $17 million for next three months in Zimbabwe,” said World Food Program spokesperson Hervé Verhoosel. These are separate amounts from the $282 million that OCHA and humanitarian partners of the UN are calling for. Assistance was also pledged by others like regional Southern African Development Community (SADC) and the African Union with financial and logistic resources. The Chairperson of the African Union Commission, Moussa Faki Mahamat announced an immediate support of $350,000 to the three countries. Mozambique as the hardest hit to receive $150,000 from emergency AU funds. SADC contributed $500,000; $200,000 to Mozambique and $150,000 each to Malawi and Zimbabwe. “SADC appreciates the overwhelming support extended to the communities by some Member States, cooperating partners, and most importantly by citizens of the three countries who combined efforts to assist their fellow nationals,” said Hage Geingob, SADC chairperson and president of Namibia in a statement.